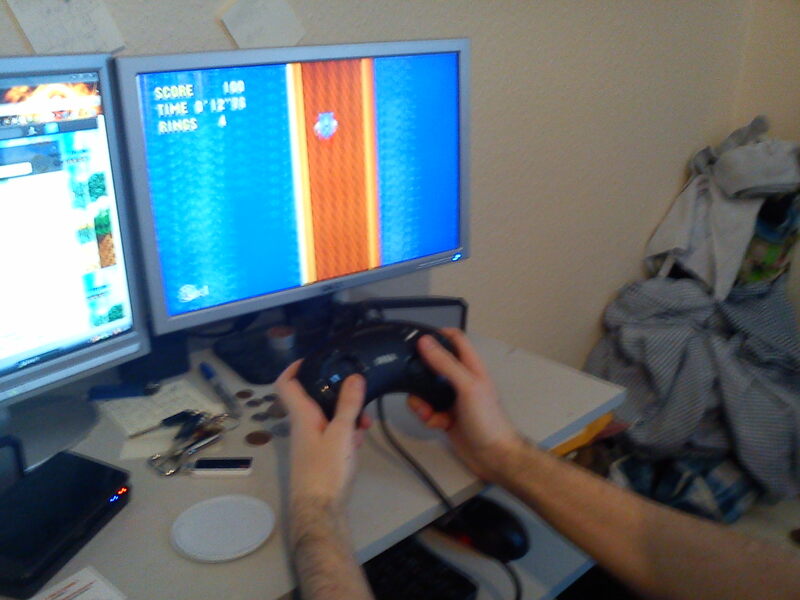 so since bit.cops is all over, I`ve been busy with exhibition stuff and patriot. I finally decided on a look and style that i`m happy with. spent more time with concepts and deliberating then i should but here it is. 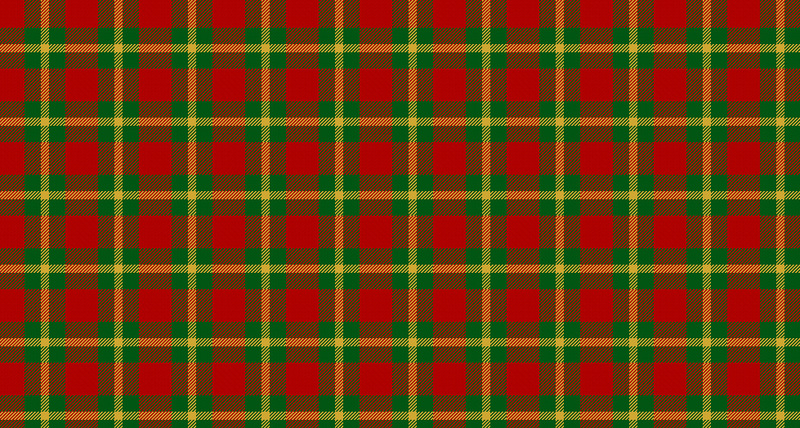 here’s the tartan texture i`m using. I`m really chuffed i can finally get started on him. once he`s done, i`m going to make his retro set of frames, it`ll be easy and fun work 🙂 downscaling the HD version. only animation i`ve got done so far is his prone one. i`m using a different technique for animating this time round. i`m keeping the frame count low and using tweens for motions, it`ll take some substancial effort to make the retro versions look nice. this is the rough test version I put together quickly to try out tween animation. 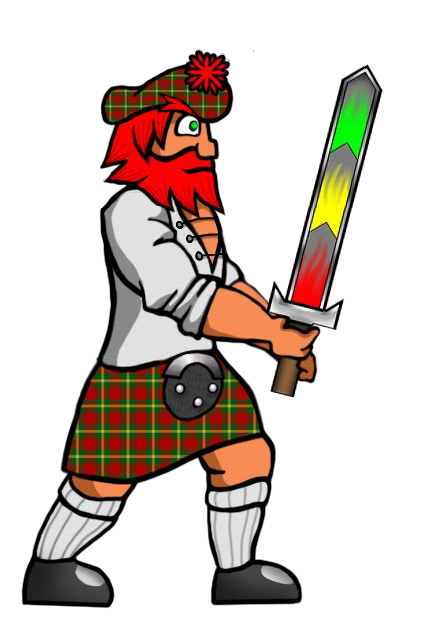 and here’s the polished finalised one. they look a bit crummy due to GIF compression, and they animate at only half speed on WordPress. alas, you get the idea. 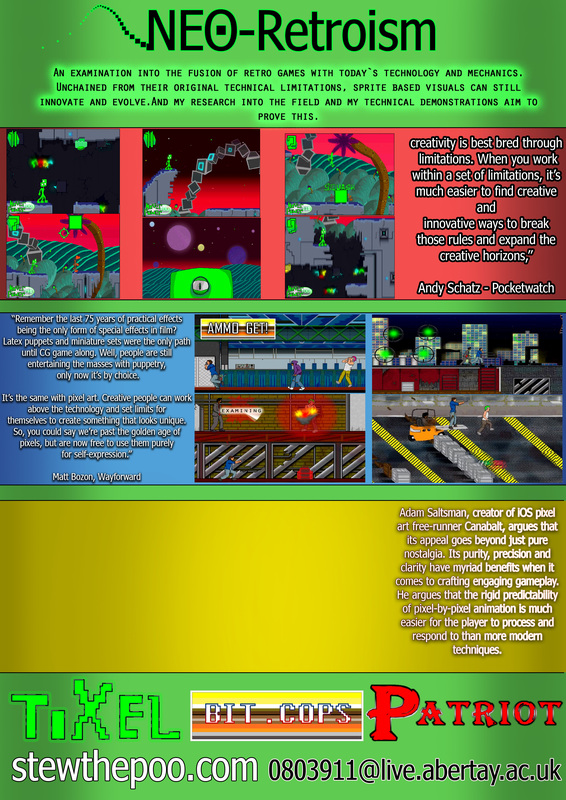 that`s all I have to show regarding objective 4. now for exhibition stuff, i got started on my A3 poster. I still need to acquire some screenshots for patriot and check with my tutor whetever this is the kind of thing we should be using. those quotes lend an air of authenticity don’t they? for my exhibition, I plan to have all three of my ip`s as actual game cartridges. 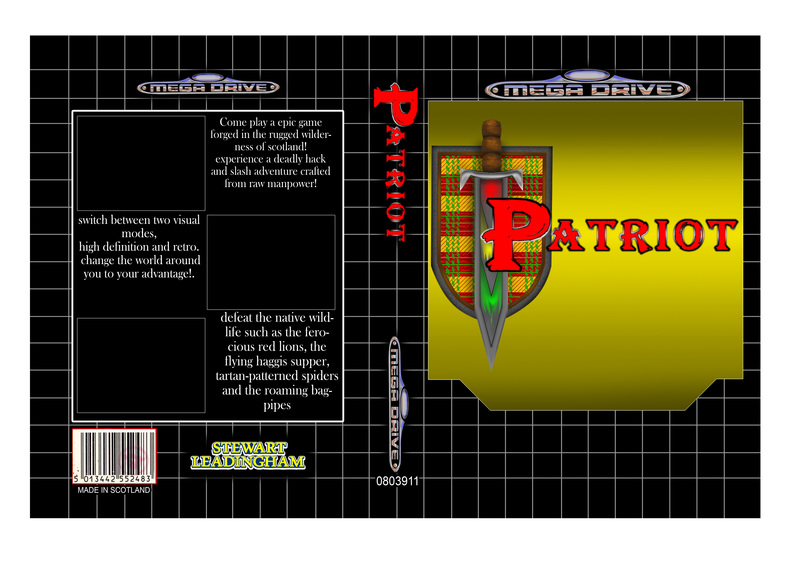 bit.cops and tixel will be on SNES carts while Patriot will have a megadrive cart and case. the cartridges are still in the printers and I should have them shortly. in the meantime, I`m making the label for the sega box by myself because i can actually get the measurements for that one right, and it doesn’t need to be a sticker. lacking some crucial screenshots and numbers but you get the idea. speaking of printing things, i`ve made a load of prototypes for my business card, here are all the ideas for the front. in an ideal world I would get versions of every single idea printed since I cant decide on one. 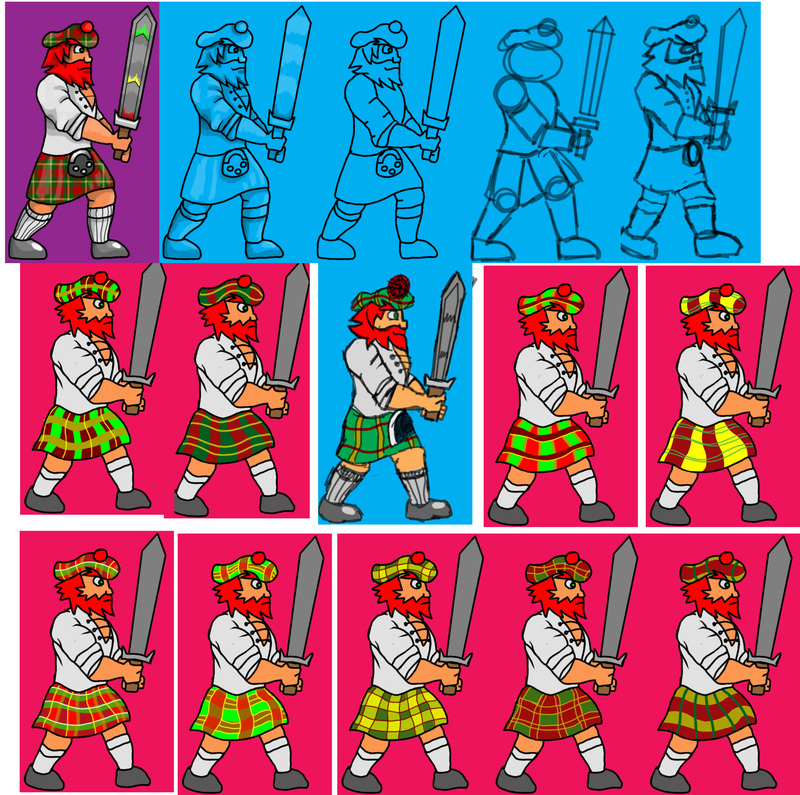 but since that would cost a lot, I`ll get some feedback to figure out which ones i should settle with. 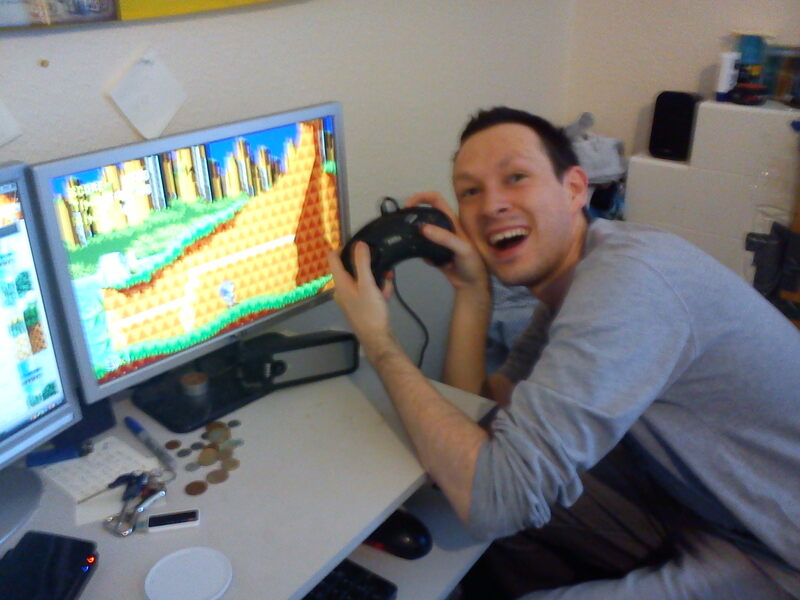 another crucial piece of exhibition goodness, the mega drive controller is now up and running. 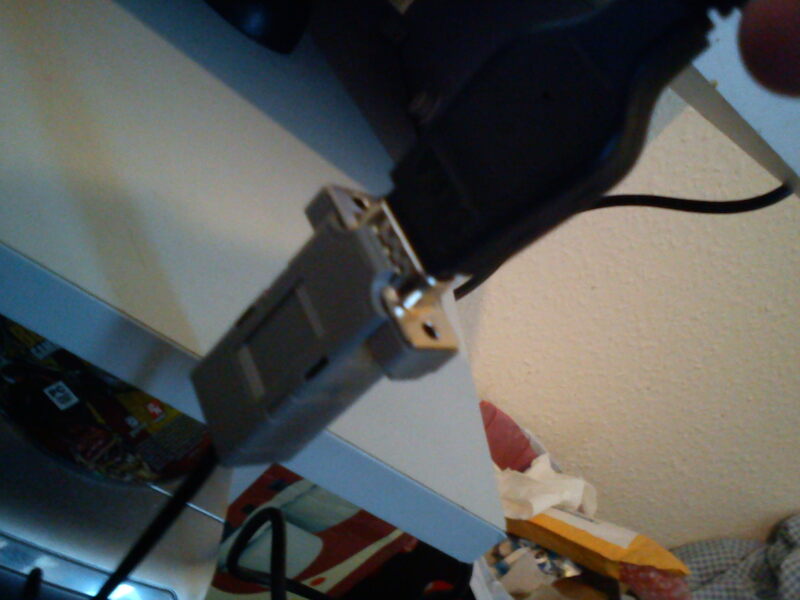 here’s the bloody adapter that set me back 20 quid. was it worth it? no sorry 🙂 the `games` are mostly just videos that utilize the retro style. it`s all practise based research for my honours project. but thanks for the interest!